For too many organizations, things like visitor badges are a security afterthought: "Oh, those sticky paper things," one thinks. "No, we don't need those. Our process is fine." It's important to note, however, that a process being "fine" doesn't mean that it can't improve with a few tweaks here and there. Visitor badges fall into a sweet spot when it comes to Visitor Management: they're effective without being too expensive or too difficult to implement. 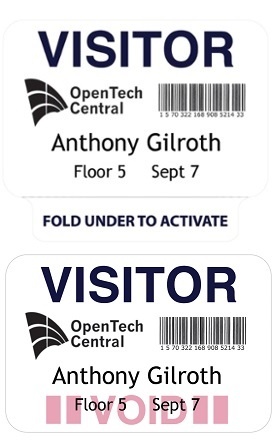 Visitor badges are also a fairly scalable solution, as their effectiveness doesn't change based on volume: they'll work just as well at a small elementary school as they will at a multi-building corporate complex. Along with being effective and affordable, visitor badges offer an added bonus: they help make a workplace safer for both employees and guests. 1. Issuing visitor badges makes it easier to identify unauthorized guests. Most of today's employers identify their personnel by issuing employee badges. The badges are going to vary from site to site, as some will use them for identification only, while others will use them for access or payments. However, all employee badges serve the same basic purpose: they confirm that the person wearing the badge is, in fact, authorized to be on-site. The same can be said for visitor badges: by issuing visitor badges to all guests at your site, you're ensuring that no authorized personnel are wandering around your facility without identification. 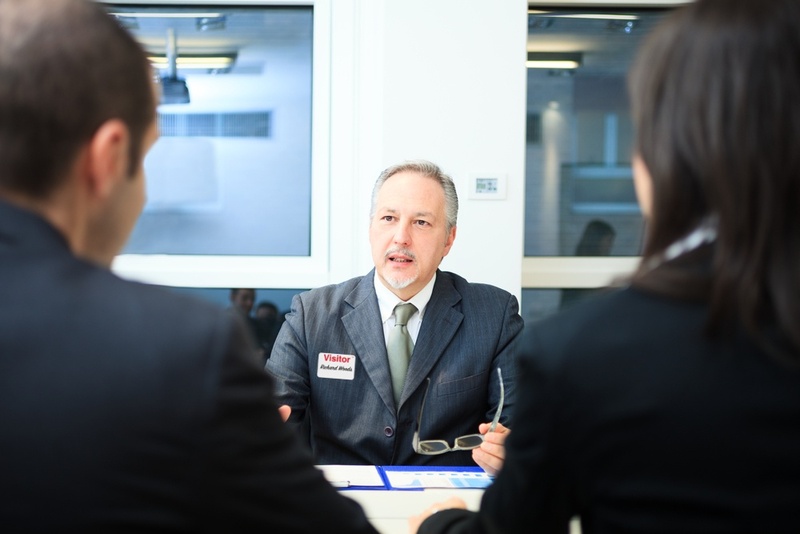 If your policy is that employees must wear ID badges and visitors must wear visitor badges, anyone seen without some kind of badge will stand out to your security team as someone who needs to be questioned. A good employee badge program combined with a visitor badge program allows you to spot potential intruders with a simple glance. 2. A visitor badge policy can serve as a deterrent for potential troublemakers. As discussed above, a person who isn't wearing a visitor badge at a site that requires them is going to stand out. However, in some cases, simply having a visitor badge policy in place is enough to deter troublemakers. Picture two different office buildings: one has a sign at the front desk that says "GUESTS MUST WEAR VISITOR BADGES AT ALL TIMES," while the other has a notebook and a sign that says "GUESTS MUST SIGN IN." If you're a shady character, which site seems more inviting? Certainly not the one warning you that you need to be positively identified at all times. A visitor badge policy tells potential criminals and intruders that your site takes security seriously, encouraging them to take their trouble elsewhere. 3. Identifying visitors can play a key role in emergency response. In the event of an emergency or an evacuation, it's imperative that your employees know the proper steps to take, like how to exit the building and where to assemble for a head count. These things can be practiced with regular emergency drills, ensuring that your team is ready. But what about your guests? If an emergency occurs while you have guests at your site, they're not going to be familiar with your procedures. While things like welcome videos or acknowledgment notices can go a long way toward explaining these procedures to your guests, they're not likely to retain all of the information. With visitor badges, it will be clear during an evacuation who needs help: anyone wearing a visitor badge is probably going to do his or her best to follow the crowd, but may need some extra guidance. The visitor badge will essentially be a big "ASSISTANCE REQUIRED" sign for your employees to see. This will allow you to use your drills to train employees to look for guest badges and accompany those wearing them in the event of an evacuation or other emergency. This use of the buddy system will help reduce confusion and ensure everyone gets out safely. Visitor badges will go a long way toward making your workplace a safer place for everyone. For an extra layer of security, consider our expiring visitor badges. These patented badges use migrating ink technology to show an expiration indicator when a guest's time is up — if your guest is only supposed to be at your site for a day, the badge will expire after a day to prevent reuse. Think of it as an extra layer of security on top of the security provided by regular visitor badges.